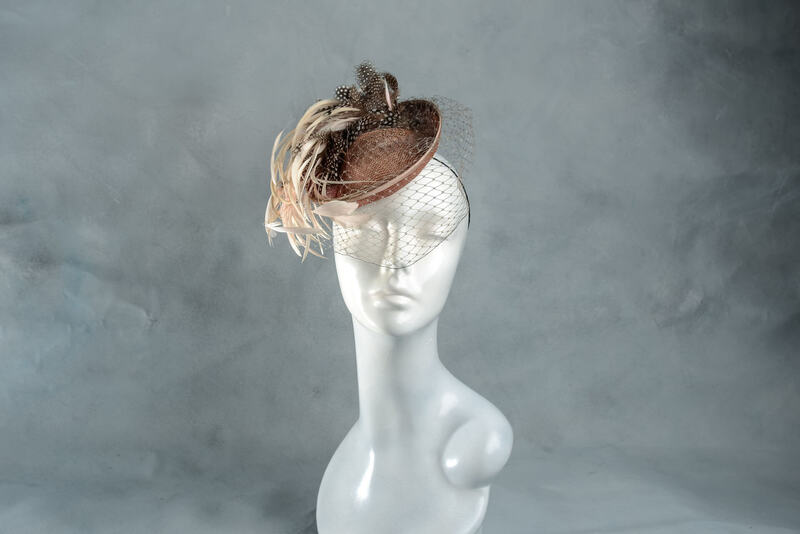 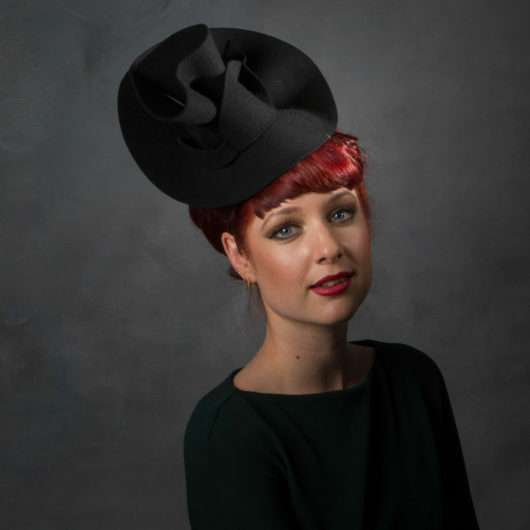 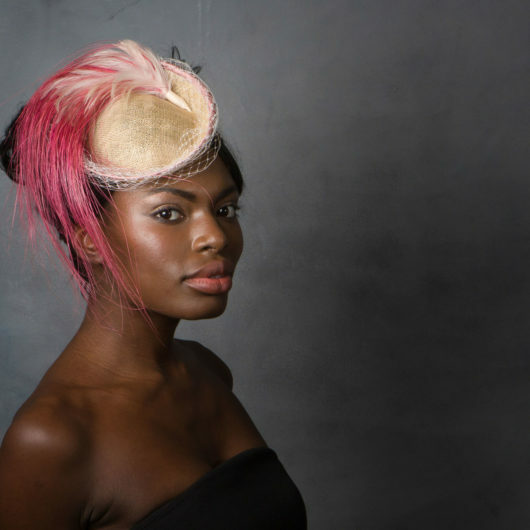 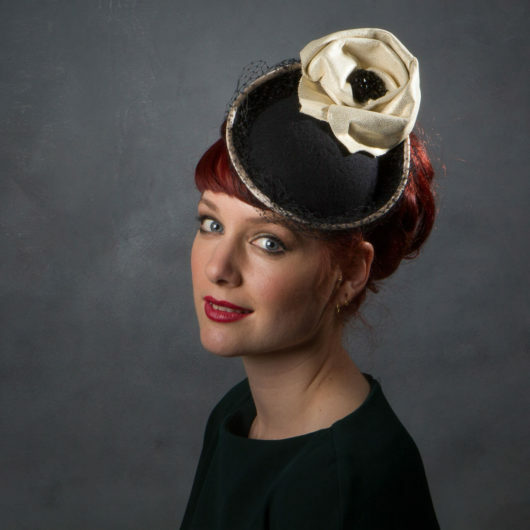 This muted dusky pink feather sinamay wedding hat is perfect for a mother of the bride or a guest. 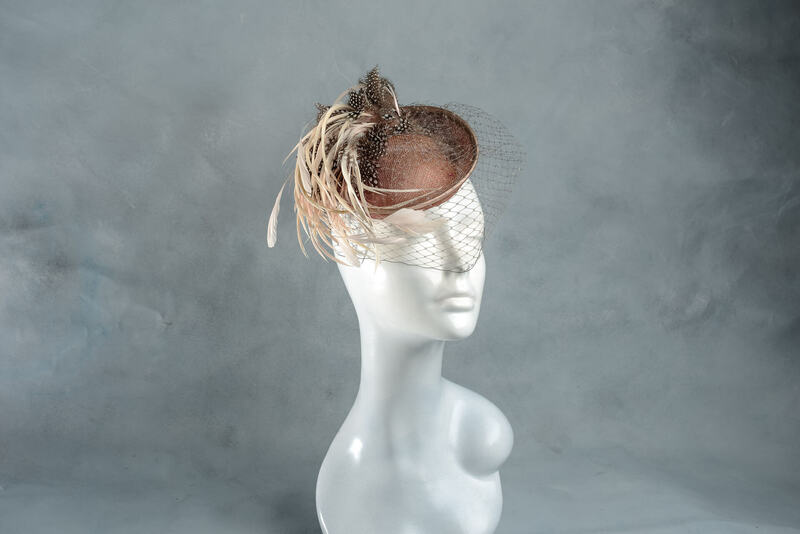 Cluster of feathers and grey birdcage veil. 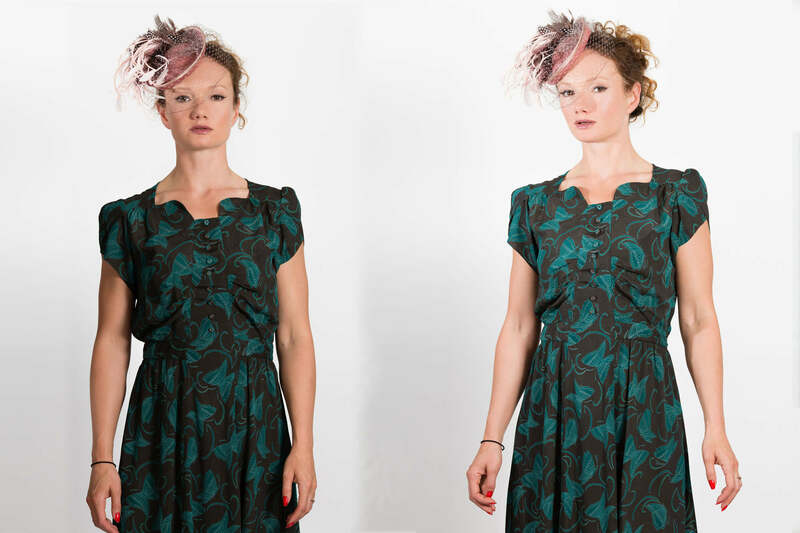 Beautiful matched with navy blue or greens.